The Berlin International Film Festival features three films that offer perpectives of Russia beyond that of enigma or caricature. The 61st Berlin International Film Festival, which runs from Feb. 10-20, features two Russian films: the psychodrama V Subbotu (Innocent Saturday) by Alexander Mindadze and anti-utopian Mishen (The Target) by Alexander Zeldovich. Together with the German film Khodorkovsky, they form a kind of triptych about Russia’s past, present and future. The Khodorkovsky film is already in the public eye; computers containing the final cut of the film were stolen from the director’s office in Berlin in the early hours of Feb. 3. Luckily, he had already sent a copy to the festival, and that copy is now being closely guarded. 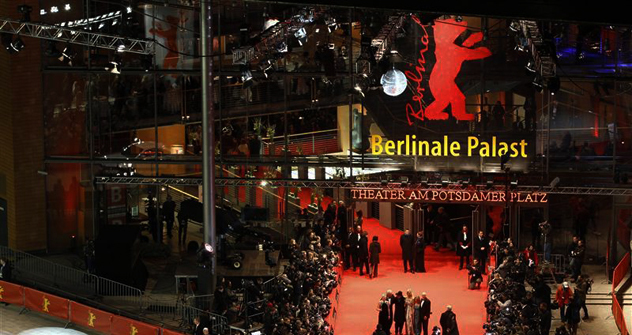 In recent years, the Berlinale festival has managed without Russian films, but the country is now back in focus, this time not as an enigmatic land of mystery and uncertainty, but as a more or less distinct geopolitical reality. This change in perception may be an important shift in the way foreigners perceive Russian films: Those about “mysterious Russian souls” and “those strange Russians,” if not squeezed out entirely, are now at least complemented by films about Russia today, reflecting its recent past and looking into its near future. V Subbotu (Innocent Saturday) is the second film directed by Russian Alexander Mindadze, who is also an accomplished playwright and scriptwriter. The film focuses on the April 26, 1986 accident at the Chernobyl nuclear plant, dramatizing the first 24 hours after the tragedy – the time of general shock and confusion, when few people realized the true significance of what has happened and that life would never be the same again. The idea of coping with the aftermath of a catastrophe, accident, or some fatal failure runs through all Mindadze’s scripts. There is a train that nearly derails (The Train Stopped), a capsized passenger vessel (Armavir), the war in Chechnya (Time of the Dancer), and a crashed plane (Detachment). In each case, he focuses not on the reasons for the tragedy, but on its consequences, which prove to be far greater and more disastrous. The authors of V Subbotu reproduce the atmosphere of the era in every detail and with painstaking accuracy. Romanian cameraman Oleg Mutu, who shot the best films of the Romanian New Wave, is also responsible for the camerawork here. He shows socialist life not in retro style but as if it is happening here and now. Chernobyl has long been a notorious metaphor for the collapse of the Soviet Union – a dead zone still affecting the living world. Alexander Rodnyansky was the first director to film Chernobyl after the catastrophe, gathering footage he later used in his documentary Farewell USSR (1994). Mindadze’s picture, too, is kind of farewell to the Soviet era, which, he indicates, is sinking into oblivion but will never disappear altogether. The same feelings are pervasive in the German documentary Khodorkovsky. The idea to make a film about one of Russia’s key political figures occurred to director Cyril Tuschi in 2005, when he visited a film festival in Khanty-Mansiysk. He was surprised by the modern city there, and learned that the source of all that splendor, the Yukos oil company, had ceased to exist and that its owner was behind bars. In making the film, Tuschi interviewed Khodorkovsky’s relatives, his former Yukos colleagues and Russian politicians, compiling 180 hours of video footage. The scope of the film is vast, covering territory ranging from Moscow to New York to Siberia. Its highlight is an interview with Mikhail Khodorkovsky himself in a Moscow courtroom – his only filmed interview since his arrest. Animation was used for some episodes, including the businessman’s arrest at Novosibirsk Airport. Tuschi said his main idea was to show the scope of Khodorkovsky’s personality without focusing on his guilt or innocence, yet the film is sure to send ripples through the political establishment, at least in Russia, where there is no such thing as apolitical documentary. Political metaphors are rife in the sci-fi film The Target. Alexander Zeldovich and Vladimir Sorokin, who co-authored the script for The Target, portray Russia in 2020 as a thriving country where the main natural resource is not oil or gas but a unique mineral called runium, which is worth more than gold or platinum. China becomes Russia’s key partner and, in fact, turns Russia into its own colony; all the street signs are in both Russian and Chinese. A huge Moscow city center spreads across the entire capital, and consumer culture reaches its climax, with prosperous people having just about everything, including special glasses that scan people for good and evil, though the former becomes increasingly rare. Even recovering one’s youth becomes a reality. The film’s protagonists travel to the Altai Mountains, the home of an abandoned Soviet-era secret facility called “The Target.” This is a kind of gigantic dish where the Soviets studied cosmic radiation. The heroes have no idea, however, that the Target’s radioactive treatment will not only restore their youth, but also have a disastrous effect on their lives, just as powerful as the long-forgotten Chernobyl explosion. This is where our bright future meets our catastrophic past, with a lasting destructive potential, despite any seeming stability.